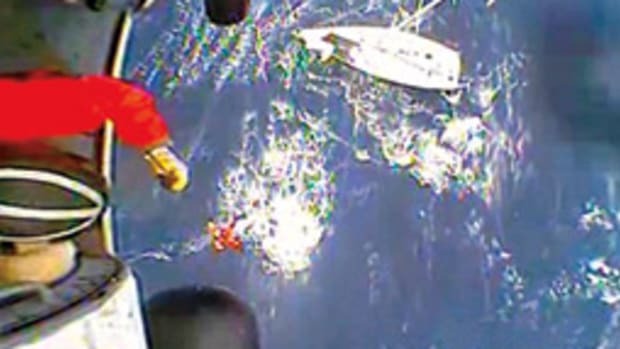 A container ship and a fishing boat collided in May at night in a ship’s channel eight miles south of Gulfport, Miss., with the loss of three of the fishboat’s 16 crewmembers — another tragedy that raises concerns about ships steaming through waters where fishing vessels are at work. The 660-foot Eurus London, en route to Freeport, Texas, with a load of bananas, and the 163-foot Sandy Point collided about 8:45 p.m. May 18 in the cut between Cat Island and Ship Island on a night that was dark but not foggy, the Coast Guard says. The Sandy Point, a menhaden boat based out of Omega Protein Corp.’s processing plant in Moss Point, Miss., took on water and sank. A pilot boat recovered 11 Sandy Point crewmembers from the water. Two more made their way to the Liberian-flagged Eurus London and were brought aboard. Divers found the bodies of the other three crewmembers inside the fishing boat. They were identified as Rhoderick Watkins, 48, of Moss Point; Thomas L. Moore, 65, of Havelock, N.C.; and the ship’s cook, Lindsey Tucker, 58, of Vancleave, Miss. The Sandy Point reportedly was not fishing at the time of the collision but was preparing to offload its catch of menhaden at the processing plant. The cause of the collision was still under investigation. Run-ins between cargo ships and fishing boats, though not an everyday occurrence, are all too common. 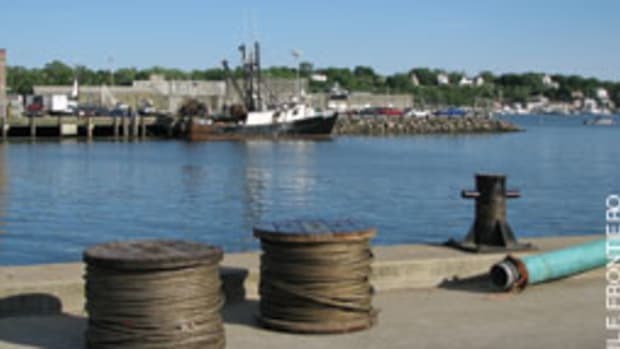 In the Northeast commercial fishery, one of the country’s most dangerous statistically, the National Institute for Occupational Safety and Health reported 98 deaths in “vessel disasters” — sinkings, capsizes, fires — from 2000 to 2009. Thirty of those deaths were in the scallop fishery, where the top two causes of losses are collisions (25 percent) and vessel instability (25 percent). For the Northeast fishery as a whole, the most common causes of these disastrous losses, in descending order, are flooding, vessel instability, being struck by a large wave and collisions. “Collisions with ships … this is something that I am aware of, but to my knowledge not a lot of effort has gone into preventing these types of events,” says Jennifer Lincoln, an injury epidemiologist with the institute’s commercial fishing research program. 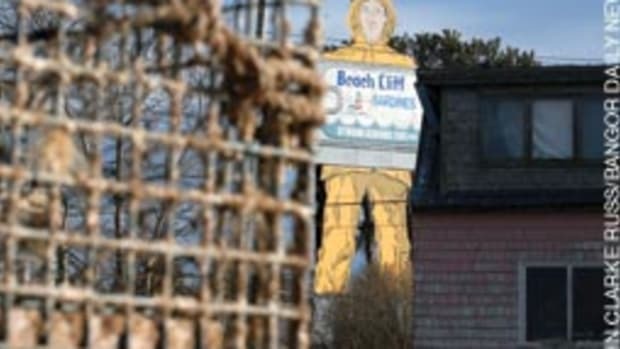 She says that in the Northeast six collisions accounted for 10 percent of the fishing boat disasters resulting in fatalities from 2000 to 2009. In the Gulf of Mexico the problem is even more serious; six of 27 (22 percent) of fatal fishing boat disasters were collision-related during that period. Collision is listed just once in institute statistics for 2000 to 2009 as the initial cause of fatal fishing boat losses on the West Coast and not once in Alaska, Lincoln says. 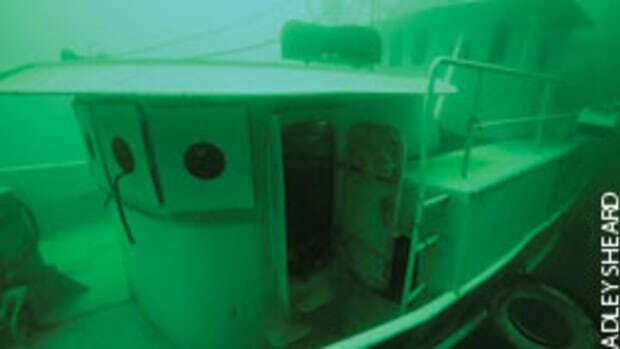 Many still suspect that a ship ran down the 72-foot scallop dredge Lady Mary, which sank in March 2009 in the Elephant Trunk off New Jersey with the loss of six of its seven crewmembers. 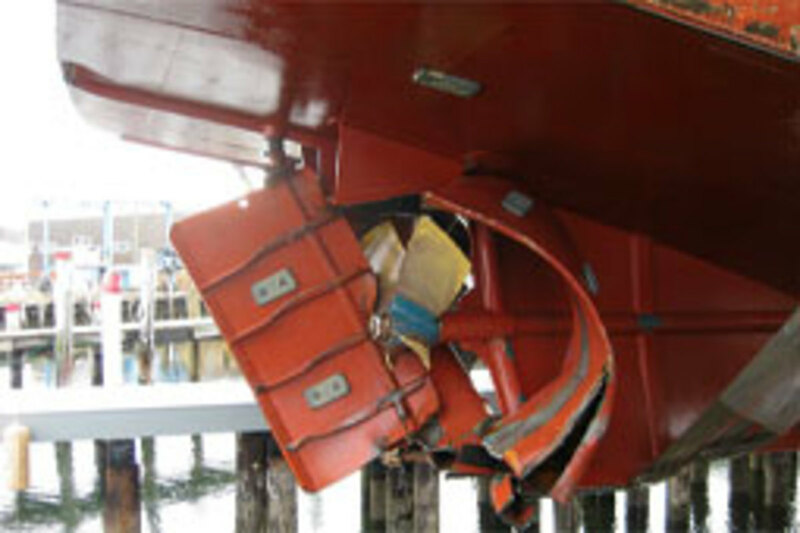 In April 2009, the 965-foot British-flagged container ship Florida collided with the fishing vessel Dictator 47 miles off Cape May, N.J., sending an enormous bow wake sweeping over Dictator’s deck and causing $400,000 damage to the 85-foot scallop dragger’s keel, rudder, prop, Kort nozzle, shaft and engine, which was knocked off its bed. The Florida kept going, evidently unaware of the collision, until another fishing boat radioed the ship about what happened. There were no casualties. In July 2010, the 625-foot bulk carrier Balder and 72-foot commercial fishing vessel Atlantic Queen collided about 3:30 a.m. 25 miles off Sandy Hook, N.J. The only casualty was a minor injury to one of the fishermen, but the ship sheared 15 feet off the fishing boat’s bow. In January of this year the 600-foot bulk carrier West Bay and the 51-foot aluminum-hulled gillnet boat Michael Brandon collided 20 miles southeast of Hull, Mass., about 5 p.m. The fishing boat sustained extensive hull damage, but there were no casualties. On the East Coast, the nation’s coastwise highways for moving cargo intersect a lot of prime fishing grounds, creating a combustible mix of ships and fishing boats, says Stevenson Weeks, the Beaufort, N.C., lawyer who is representing the owners of the Lady Mary. Weeks says he can think of at least three snapper boats that have collided with ships in recent years 30 or 40 miles off North Carolina. “You’ve got these superhighways for cargo tracking up and own the East Coast,” he says, and the highways often run right through busy and productive fishing grounds during harvest season. A case in point: The 60-by-60-mile Elephant Trunk scallop grounds off New Jersey may draw 100 or more scallop dredges on a given day (and night) during the season, he says. “You have so many boats in this area at one time and ships steering through them,” often at full speed to make their schedule. Weeks proposes major surgery to help resolve this problem — traffic separation during harvest season that sends ships around the scallop grounds. “That would really reduce the likelihood of a collision,” he says. 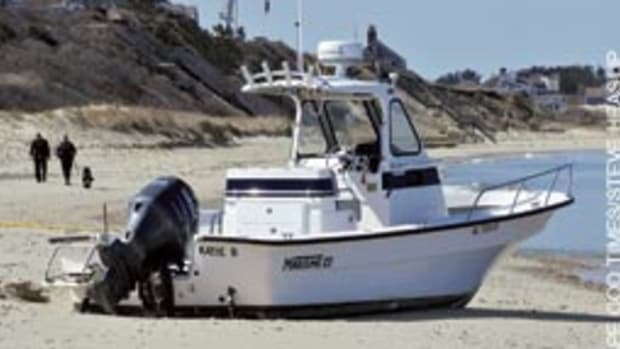 Also, the Coast Guard has been considering extending AIS carriage requirements to fishing vessels over 65 feet since 2008, mainly to plug holes in homeland security. The Automatic Identification System was developed for collision avoidance and traffic management. Ships already carry AIS. If fishing boats did, too, it would help them steer clear of each other. An AIS transponder sends a continuous stream of information about a vessel’s position, course, speed, heading, identity and other safety-related data. Equipped with AIS, skippers can see each other on a chart plotter or PC and have navigation information on hand about each other. The cost ranges from several hundred dollars for a less powerful Class B unit for recreational and light commercial users to several thousand dollars for a heftier Class A. 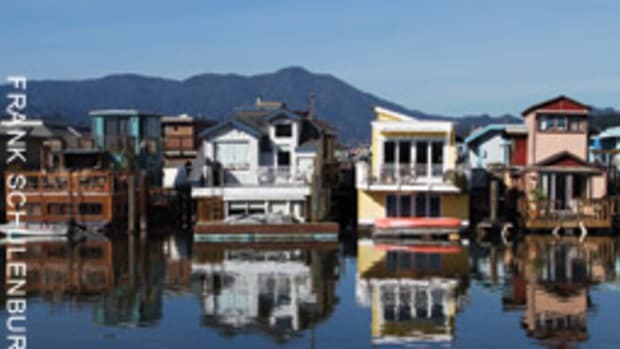 As a common-sense matter, keeping a watch at all times — and training crew to keep a good watch — is also important for preventing collisions, says Jerry Dzugan, director of the Alaska Marine Safety Education Association, a national fishermen’s safety organization. 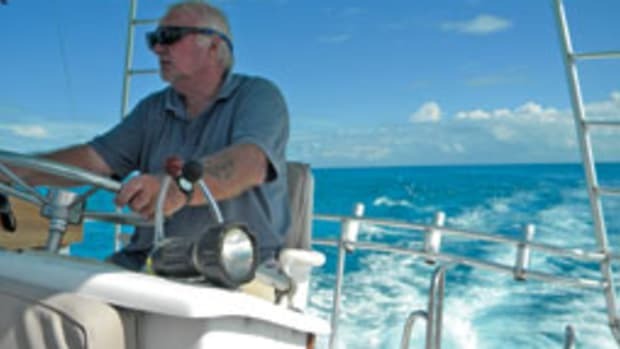 The watchstander should keep an eye on the seaway; keep an ear out for horns, whistles or bells; monitor channel 16 on the VHF; and watch the radar, plotter and depth sounder — a big job.